As the Trump administration prepares to expand the USA’s lethal drone programme, increasing the risk of civilian casualties and unlawful killings, human rights NGO Amnesty International is calling on the UK and three other European countries to urgently overhaul the operational and intelligence assistance they provide to the programme. Amnesty is also calling for a full public inquiry into the UK’s role in the US drones programme, including how it supplies intelligence material to the USA potentially used in drone attacks. Amnesty and others have documented cases under successive US administrations where US drone strikes have killed people not directly participating in hostilities or those who posed no imminent threat to life, including children. In a new 86-page report, Deadly Assistance: The role of European states in US Drone Strikes, Amnesty shows how the UK, Germany, the Netherlands and Italy assist the US drone programme. Amnesty’s report highlights how a climate of secrecy makes it difficult to establish what safeguards – if any – these countries have in place to ensure they’re not assisting in unlawful drone strikes. According to the Bureau of Investigative Journalism, US drone strikes have killed as many as 1,551 civilians in Afghanistan, Pakistan, Somalia and Yemen since 2004. Drone attacks have already increased dramatically under Donald Trump’s presidency. The Council on Foreign Relations, a US-based thinktank, estimated that President Trump approved at least 36 drone strikes or special operations raids in his first 45 days in office. According to media reports, Mr Trump has also rolled back limited Obama-era protections on the drone programme. A new – still-secret – policy reportedly allows the targeting of a much larger number of individuals even if they are not clearly identified, and relaxes the requirement for “near certainty” that a lawful target is present. Amnesty has raised particular concerns about the reliability of “signals intelligence”, which the USA often gathers from foreign partners to target individuals. According to an investigation by The Intercept, leaked Pentagon documents show that during one five-month period in 2013, 90% of those killed by US drone strikes in Operation Haymaker (US special operations in north-east Afghanistan) were unintended targets. It is unclear whether the US has since implemented safeguards around its use of signals intelligence. While Amnesty does not oppose the use of armed drones, it has repeatedly called on the USA to ensure its use of these weapons complies with its obligations under international law. RAF Menwith Hill in Yorkshire – hundreds of US military personnel and contractors work alongside several hundred UK staff, including from GCHQ, reportedly helping to target individuals across the Middle East and North Africa in US “capture-kill operations”. Data from more than 300 million emails and phone calls per day is reportedly being sifted in this operation. Individuals in internet café’s in Yemen have reportedly been identified as “targets” as a result. RAF Molesworth in Cambridgeshire – the US European Command’s Joint Analysis Centre carries out military intelligence analysis, which apparently involves data analysis for US drone strikes. In 2016, Molesworth produced job advertisements for “full motion video analysts” to study footage taken by drones and other surveillance aircraft in order to identify potential targets. RAF Digby in Lincolnshire – is used as a signals interception base, hosting US National Security Agency personnel who, according to Edward Snowden, work closely with UK staff “to produce critical intelligence on an amazing variety of targets”. This reportedly includes analysis of geolocation data gathered from mobile phone signals via surveillance equipment attached to drones. Digby works closely with its US counterparts at Fort Gordon in Georgia and the Alaska Mission Operations Center. RAF Croughton in Northamptonshire – approximately a third of all US military communications in Europe pass through this base, which has a direct link through a fibre-optic communications system to a US military base in Djibouti (Camp Lemonnier), from where most US drone strikes on Yemen and Somalia are carried out. “Civilians are dying at the press of a button from a drone operator sitting behind a screen thousands of miles away from the locations targeted in these attacks. “We already know that GCHQ is feeding information to the USA used to launch deadly spy in the sky operations in the Middle East and Africa. “What we don’t know is – how often is British intelligence being weaponised by the USA’s secretive drones programme, what are the rules, and is the legality of the strikes ever questioned? Amnesty’s report also shows how the UK is just one of the key European players in the US drones programme. *Italy allows the USA to launch armed drones from a US base in Sicily. These arrangements are likely to be the tip of the iceberg when it comes to the complex and sophisticated network of European support for US drone strikes, and Amnesty is calling on the UK, Germany, the Netherlands and Italy to refrain from assisting in US drone strikes that may violate international human rights law – which applies to the use of armed drones by the USA at all times – or international humanitarian law, which applies to drone strikes carried out as part of an actual armed conflict. Amnesty is also calling on these four countries to initiate full public inquiries into their involvement in US drone use, with independent and impartial investigations into all cases where there are reasonable grounds to believe they have provided assistance to a US drone strike resulting in unlawful killings. They must also provide urgent public clarification on any existing safeguards to ensure they are not aiding and assisting in potentially unlawful US drone attacks. Meanwhile, Amnesty is urging the USA to publicly disclose its new rules governing the use of lethal force abroad, including rules on targeting for lethal operations. 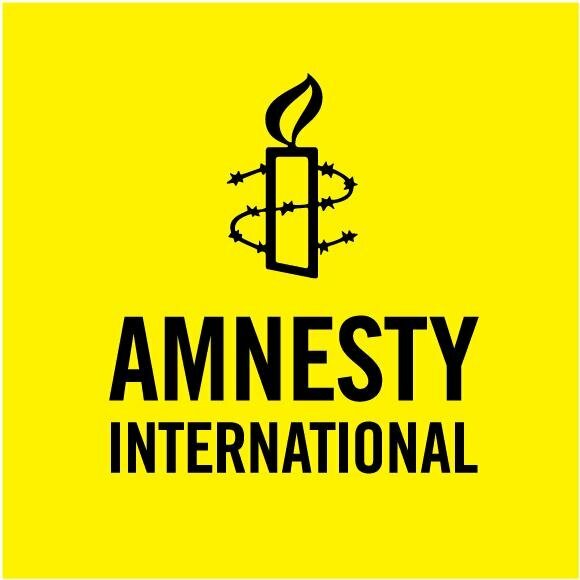 Amnesty sent summaries of its findings and concerns to the governments of the UK, Germany, the Netherlands and Italy. At the time of publication, only the Netherlands and Germany had responded. The Netherlands said it does not cooperate with unlawful targeted killings. It also stated that the Minister of Defence had adopted and implemented a series of recommendations made by the Dutch Review Committee on the Intelligence and Security Services regarding safeguards to prevent the sharing of intelligence which could be used for the unlawful use of force by other states. However, the response confirmed that the Netherlands has no specific policy governing the provision of assistance to US lethal operations, including its drone programme. Instead, it applies a general framework to data exchange under which various factors are assessed before sharing data, including respect for international humanitarian law and the human rights policy of country in question, under which cooperation is reassessed in certain circumstances. The German Ministry of Foreign Affairs said it can only share information pertaining to the intelligence services with the relevant parliamentary control committees whose communication is secret. The German Foreign Ministry said it was unable to answer some of the questions raised in Amnesty’s letter due to ongoing litigation regarding Germany’s role in US drone strikes. The lack of transparency over US drones has greatly impeded accountability and access to justice for victims and their families. An Amnesty report in 2013 documented how multiple drone strikes in Pakistan had resulted in the deaths of 18 labourers, including a 14-year-old-boy and a 68-year-old woman. The USA has never publicly committed to investigating the cases of potentially unlawful killings that Amnesty documented, or even provided its own account of what occurred. 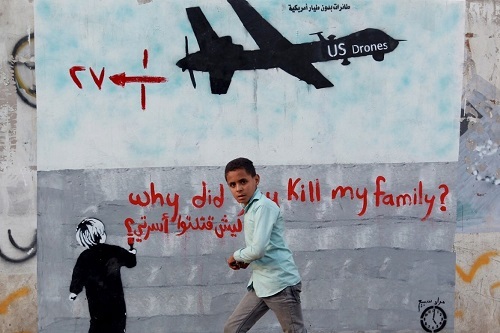 Where connections have been made between European assistance and potentially unlawful strikes under the US drone programme, there has often been a similar refusal by the governments involved to investigate or respond. For example, in 2015 GCHQ documents provided to the Guardian newspaper by Edward Snowden showed how a surveillance programme located in the UK had facilitated a drone strike in Yemen in 2012 that targeted and killed two men described as members of al-Qa’ida. According to the Bureau of Investigative Journalism, the strike also killed a civilian (a 60-year-old man) and injured between six and nine other civilians, including six children. GCHQ declined to comment. “The UK, German, Dutch and Italian governments have been assisting in the USA’s secret global killing programme for years, providing vital intelligence and infrastructure despite mounting civilian casualties and allegations of unlawful killings, including war crimes. Rasha Abdul-Rahim will present the findings of the report at a parliamentary event (Committee Room 4, House of Lords, 4.30-5.45pm) on Monday 23 April, part of a broader discussion centred on the All Party Parliamentary Group on Drone’s ongoing inquiry.